The most common question asked by bloggers (myself included) is how many page views is sufficient or good enough for your website? There was nothing concrete online neither a rule of thumb, but, there are benchmarks! Given below are a few. *How much should you charge for an ad and how to get more traffic to your website also answered below! A standard unit of measure that equates to one single person loading one single web page. If a person were to sit and load the same web page 50 times, that would register in Google Analytics as 50 page views. Discounts repeated loads of the same web page, so if a person loads your page 50 times, it would only count as one unique pageview. However, if that person were to exit your site and then return to that same page again as a new “session”, THAT would count as a 2nd unique pageview. For that reason, this is probably the best metric in terms of getting a sense of how many people are interacting with your site. The most important factor for growing your PV/UV is content. If it’s not engaging and relevant to your users, they are going to “bounce” and may never come back. The “bounce rate” is the % of visitors who come to your site and leave within a few seconds. A high BR indicates that visitors didn’t like what they saw or didn’t find what they were looking for. As per a study, anything above 60% is too high (aka bad), between 40-60% is average and anything below 35% is excellent. How many page views do popular websites get? Benchmarks: How many page views does a blogger get? An anonymous person on a marketing forum wrote: I have 10 – 20 wordpress blogs most of them are 2 – 5 months old at the moment and each of them gets traffic anywhere between 150 to a whopping 1500 UV/day. Nouchaline (a fashion blog since 2009) gets ~300 PV/day. NYCMakeupLover blogs on makeup and gets ~800 PV/day. The site has recently gone inactive, though, for what it’s worth. I’m not entirely convinced with this, but it’s a good benchmark! How much should you charge for ads on your blog/website? The revenue here is usually calculated on a CPM basis (Cost Per Thousand Impressions). Which means, marketers and advertisers pay a specific amount every time 1000 people view the ad. According to Monetize Pros, CPMs vary depending on the industry, competition, and a few exceptions ofcourse. 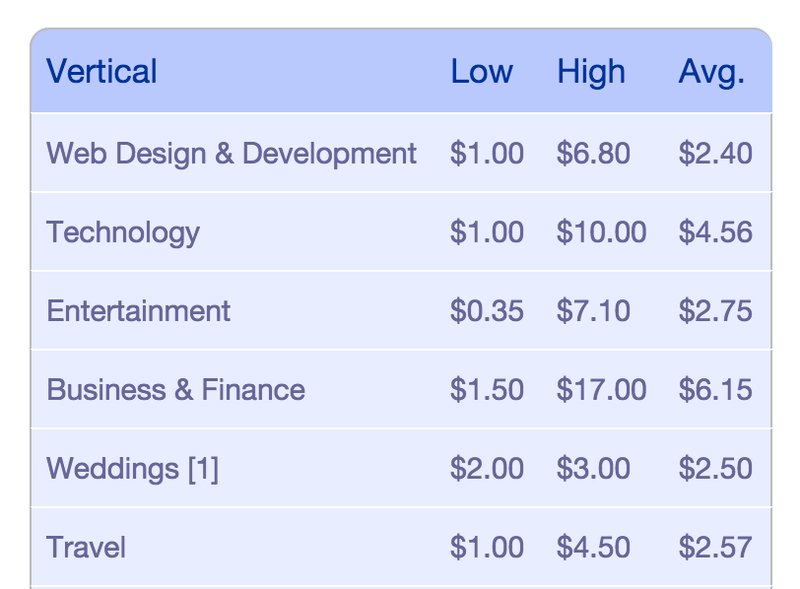 Generally, CPM should be somewhere between $1 – $3, excluding some super high-value verticals. You can increase your CPM based on how much effort you put in to create your content. Apparently, if you have more than 100,000 PV/month on your blog, you should be blogging full-time (i.e. earning more than $3,500/month). SEO: Quite a debatable topic. Just cuz you do SEO doesn’t mean your rankings are immediately going to increase. It’s all based on your content and then Google decides what page to rank! Valuable – your website must accomplish something that people value (essentially an extension of useful). As per an article by Entrepreneurs-journey, “There is no more worthless and outright idiotic ranking than Alexa.” The Alexa ranking is based on visitors who visit a site, but only those visitors that have the Alexa toolbar. 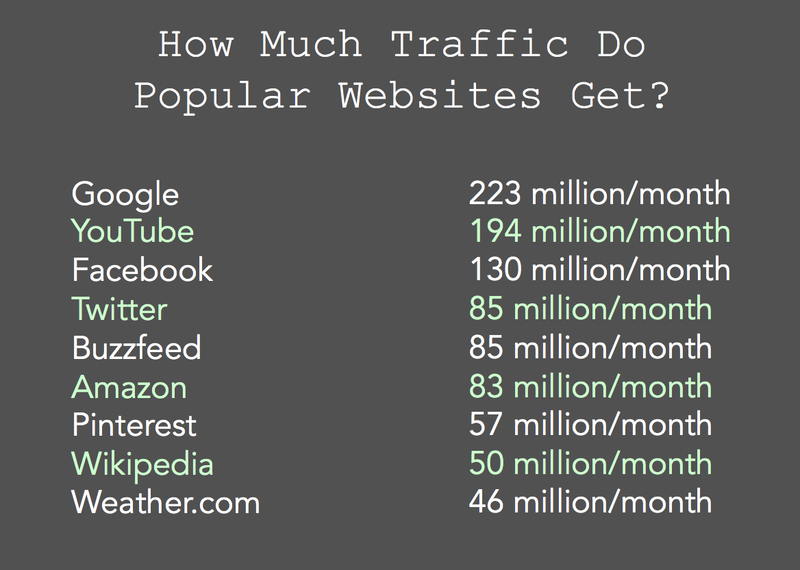 Alexa is a handy tool for evaluating a website and calculating a VERY rough estimation of its traffic only. It should be considered a “trending” statistic as opposed to anything concrete and works well in that role because it aggregates data over a rolling 3 month period. Just out of curiosity: how much are other popular bloggers making? Liked your article. First time read something that is put in a very simple way but very informative (very few do that ). Also could you please let me know how pingbacks within a site increases traffic?